The Bear and the Nightingale is Russian folklore, fairy tales, and fantasy for a modern audience. 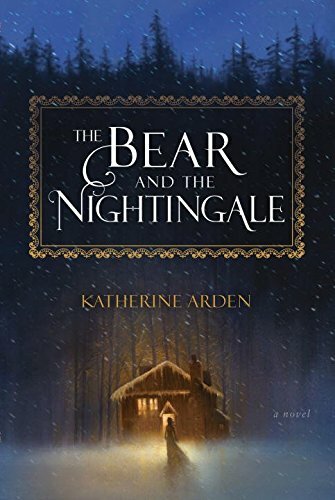 It is a beguiling debut novel from Katherine Arden. I wouldn’t be surprised to see a rich future ahead of her as a writer. I was enthralled. As a Christian, I must say that you cannot read this book without pulling all of your hair out unless you understand that it is based upon the medieval beliefs of the Russian people. A people that experienced Christianization but whom never fully eradicated their pagan beliefs. While the church is a large part of the story, The Bear and the Nightingale doesn’t portray the true church. The primary “Christian” that we are introduced to is Konstantin, often addressed as Batyuska, meaning “little father”, a respectful address for Orthodox ecclesiastics. Konstantin is fighting his own battle to understand God. Throughout the majority of the book, he is possessed by a demon. When the demon is gone, Konstantin is lost and bewildered. Therefore, there isn’t a true tension between the two belief systems. It is more like one magic in opposition to another magic. It is the quintessential folktale and needs to be read as such. I loved the story and look forward to reading further books by Arden. Infected with wanderlust and with no notions of vocation, I decided to try my hand at a novel. The same novel which you are currently holding. No? Not holding it? Seriously? Then what are you reading this for? Stop screwing around on the Internet and go read something!